This is one of Mamma's all time happy places. There is just so much to do, and everywhere you look there is so much natural beauty! Take a leisurely stroll along the boardwalk, taking in the beautiful indigenous flora and fauna - perhaps you will be lucky enough to spot some frogs and water birds along your way. One thing you will be guaranteed to see are the giant animal-lanterns spread throughout the wetlands. Follow the path to lead you to the games area. 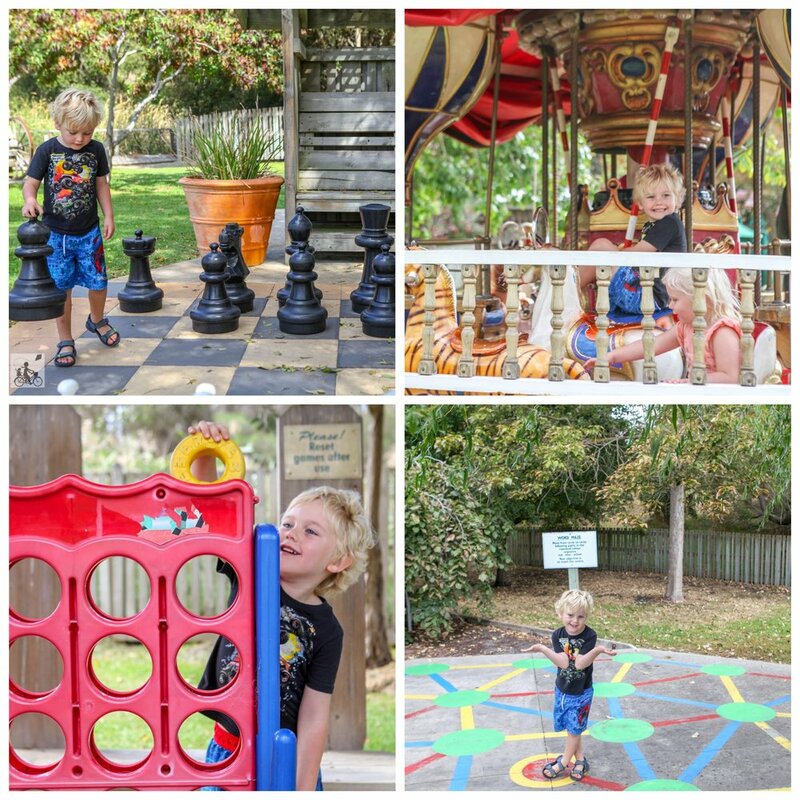 Here you can play with giant games like chess, jenga and connect four. 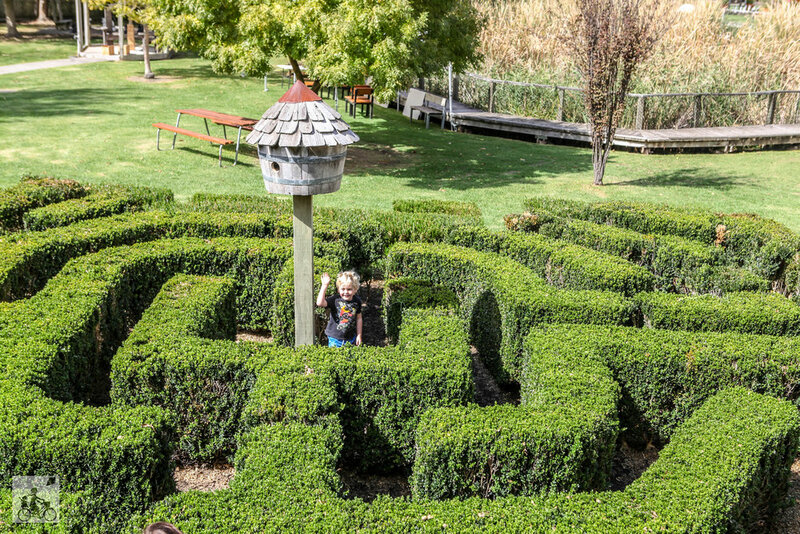 Get lost in two mazes -one hedge and one wooden; climb up the lookout to get a wonderful birds-eye view. 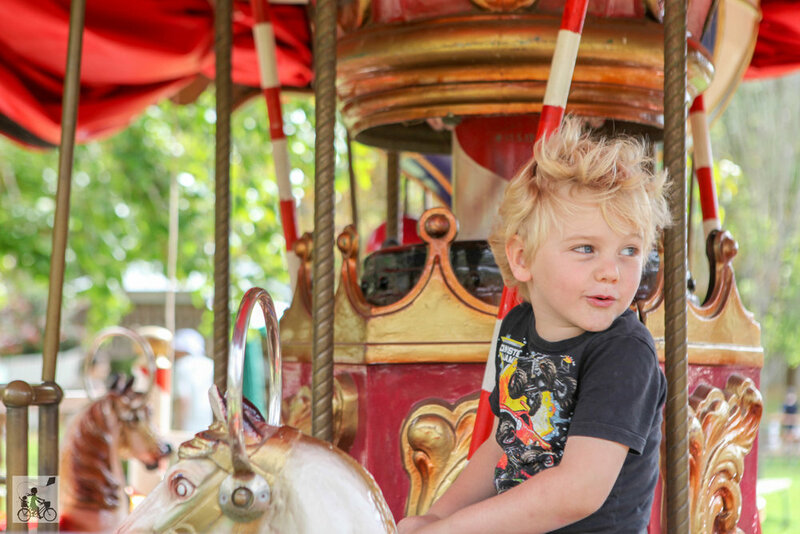 And take a ride on Mamma's absolute favourite - an exquisite old-style carousel! The detail on this beauty is extraordinary. Follow the path back to the great little licensed cafe serving delicious food; complete with a pool table, chalk-table, board games and plenty of colouring in tools! On weekends and school holidays there is also a jumping castle to help burn some energy! Walk down to the lake's edge and look for frogs, or relax on one of the lounges on the deck. Cross over the lake for the adventure zone. 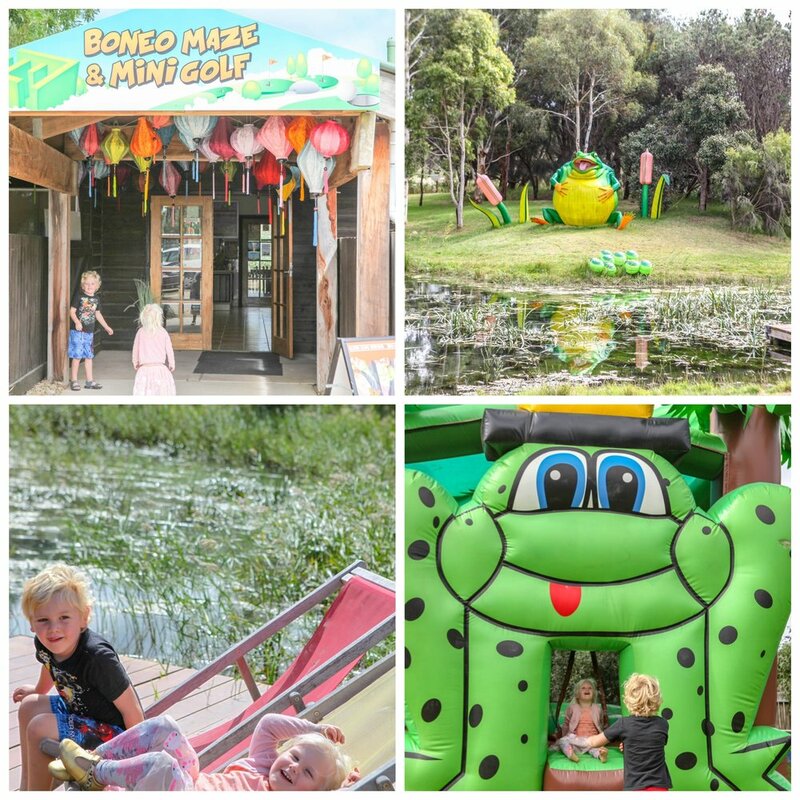 Here you will be able to test your skills on the climbing wall, bungy trampolines or explore King Lake on the pedal boats. (Extra cost for these). And of course, the fabulous mini-golf. Perfect for all ages as the littler ones can tee-off from the red flags, while adults and older kids start from the blue flag. On the other side of the fence you can watch lambs frolic in their paddock, making for gorgeous scenery everywhere you look. 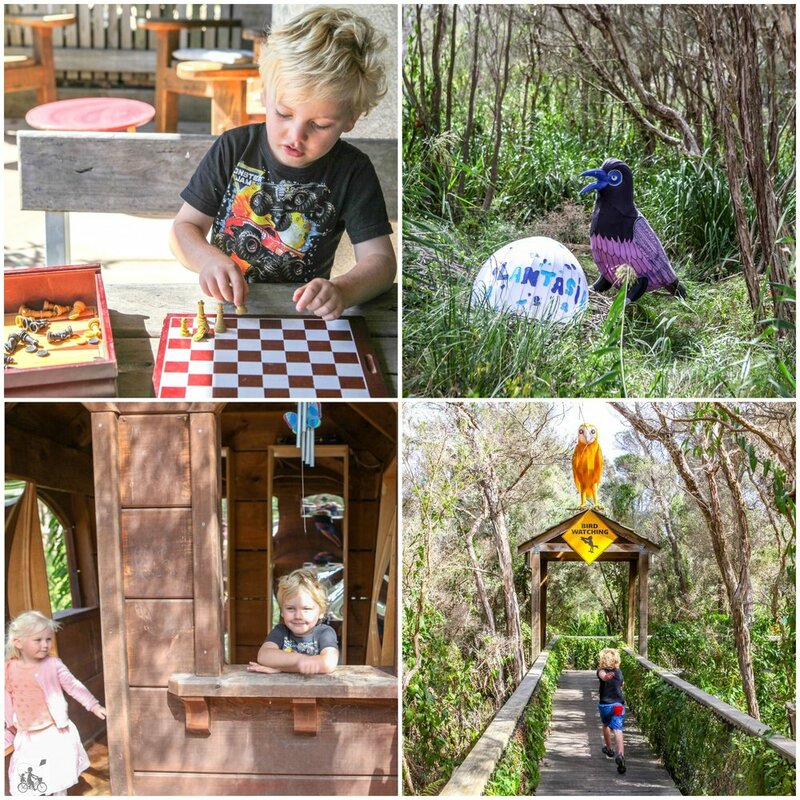 This place has all the magic ingredients for a perfect family day out! From December 15 to Easter the awesome Sand Sculpting Australia is on display here, with Peter Pan as the theme. Click here for more. Why not make a day of it and head to the wonderful Peninsula Hot Springs as well?